Thanks to the popularity of sports like judo and karate, 先生 (せんせい) is a Japanese word people all over the world use in place of “teacher.” If you take Japanese classes at a school or online, you probably call your teacher “sensei” there too. But the word “sensei” is much more than simply a synonym for “teacher”—otherwise I’d stop writing this article right now! Besides your judo master Sensei Jeff and your Japanese instructor Yoshida-sensei, there are otherpeople who deserve the title sensei. To give you a clearer picture of who a sensei really is, I’ll teach you using actual examples. By the end, you’ll be able to use the word better than everyone else in your Japanese/judo class! “A person born before you were.” Many dictionaries suggest this is the original meaning of 先生, which makes sense when you look at the kanji. Back in the day, living longer meant (and still implies) having more experience and knowledge. These days 先生 doesn’t necessarily mean someone older, but it still means someone who’s experienced, skilled, and knowledgeable. Traditionally, people in Japan are taught to pay respect to elders, and it’s important to know the word 先生 feels respectful. Generally speaking, there are two kinds of people who are called 先生: teachers, and certain professionals. 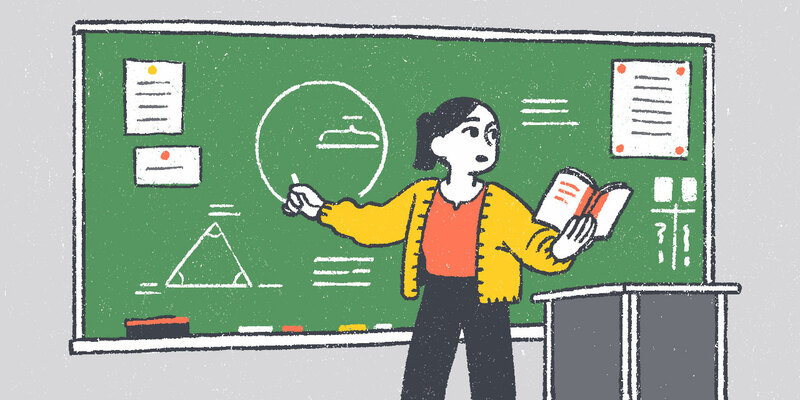 There are exceptions, of course—some teachers or instructors aren’t called 先生, even though they teach, and some people who don’t teach are called 先生. Let’s figure out who’s who. A person who teaches academics, technique, practical art, etc. According to this definition, a 先生 could teach almost anything; that “etc.” at the end makes it even more vague. And even though people jokingly refer to Google as グーグル先生 because Google knows and teaches everything (or at least that’s what it feels like), a 先生 usually teaches one specific thing. When I hear the word 先生, the first thing that comes to mind is a schoolteacher. You’ll use and hear the word most in an academic environment, especially in Japan, where nine years of elementary school and junior high school education is mandatory. IF THEY’RE WORKING IN SOME SORT OF ACADEMIC SETTING, YOU CAN ALMOST BET A PERSON WILL BE CALLED 先生. In the US, a “tutor” is different than a “teacher.” In Japan, however, a home tutor (家庭教師) is often referred to as 先生 too because kyōshi (教師) is a synonym for 先生. If you have a private Japanese tutor, you can totally call them 先生, even if they are an online tutor. However, “tutor” (pronounced チューター chuutaa) as a loanword is becoming more common in Japan. Some universities or cram schools (specialized schools that train students to meet certain goals such as passing the entrance exams of high schools or universities) hire senior students to mentor younger ones. Still, this is more of a senpai-kōhai relationship, and calling them 先生 is uncommon. Yet some folks who are called 先生 don’t actually teach. The staff at daycare (保育園) and after-school programs (学童保育), for example: their jobs involve taking care of kids more than teaching them, yet they still can claim the title. Similarly, a school nurse is called a “teacher of the nurse room” (保健室の先生), even though they don’t teach classes like other teachers. Imagine that you want to learn a new trade at a vocational school (専門学校), where you can learn technical abilities, or become a cook, cosmetologist, or graphic designer. The instructors there are called 先生 too, even though they may not have a teaching license. Similarly, driving school (自動車学校) instructors are called 先生too, even though the place they teach isn’t a formal school. Now imagine that you would like to get instruction on a specific skill—a traditional craft, say. You might take up an apprenticeship. In this case, you could call your master 先生, although a teacher in this sense is also called shishō (師匠). It all depends on the custom in that particular industry, or how the master prefers to be addressed. It’s best to check with them. Is it better to call you sensei? Or shall I call you shishō? In Japan, it’s common to send your kids to naraigoto (習い事): lessons they take outside of school. Naraigoto are often culture- or arts-related, like music or calligraphy, although martial arts, sports, English lessons, or even cram school can be considered naraigoto too. Growing up, my naraigoto were painting and learning piano. Usually, those who teach naraigoto are called 先生, and the place they teach is often called a kyōshitsu (教室), or “classroom.” Some naraigoto teachers use studios as kyōshitsu, but others use their house or go to their students’ homes. Busy adults count even one-time, self-development workshops as naraigoto, and those who teach them are also referred to as 先生. The single word “sports” covers all kinds of athletic activities, but let’s talk about traditional Japanese sports first: martial arts, including sumō, jūdō, karate, aikidō, kendō, and kyudō. They are still very popular, and etiquette (礼儀) is a big part of them, so it’s important to pay respect to your teacher by calling them 先生. Sumo culture is a bit different. When it comes to professional sumo, where you’re apprenticed to a stable, the master is called called toshiyori (年寄) or oyakata (親方). But if it’s a naraigoto type of sumo class, the instructor would be called 先生. And even if it’s not a traditional Japanese martial art—taekwondo for example—when it’s practiced in Japan, instructors will most likely be called 先生. For non-Japanese sports, calling your teacher 先生 isn’t wrong, but using the loanword for “coach” (pronounced コーチ or koochi) or sometimes kantoku (監督), which means “head coach,” is more common lately. As naraigotoin elementary school I played badminton, and every Friday someone from the badminton shop came to teach us. Instead of 先生, we called him koochi. Instructors for popular naraigoto sports like 水泳 (suiei, swimming) or 体操 (taisou, gymnastics) are usually called koochi as well. Group sports like soccer or baseball use kantoku and/or koochi. It depends on the culture of the particular sport or even the team, but in general, kantoku and koochi sound more natural for sports instructors. There is an exception though: school club activities called bukatsu (部活), whether athletic or cultural, each have a supervisor who is also a teacher at the school. These supervisors are called komon (顧問). I was in badminton bukatsu in junior high, and my komon was a social studies teacher. Even if your komon is enthusiastic, attends every practice, and guides you like a coach, you would still call them 先生 because they are a 先生 at school. In contrast, my junior high’s baseball club had a local volunteer instructor, and because he wasn’t a teacher at our school, we called him koochi. JAPANESE SPORTS ARE STILL VERY POPULAR, AND ETIQUETTE (礼儀) IS A BIG PART OF THEM, SO IT’S IMPORTANT TO PAY RESPECT TO YOUR TEACHER BY CALLING THEM 先生. What do you call fitness trainers—you know, those amazingly in-shape men and women who teach you how to exercise or use gym equipment? In this case, use the loanword for “trainer” (pronounced トレーナー or toreenaa). I worked at a gym for a few months in Japan, and I never heard customers call their trainers 先生. Occasionally I heard toreenaa used as a second-person pronoun or honorific, but only in work-related discussions between employees. Customers and trainers usually use their last names + 〜さん, but yoga and group-exercise instructors are often called 先生 by their students, whether at a gym or studio. Insutorakutaa, the loanword for “instructor”—pronounced インストラクター—is used as well. But as a second-person pronoun or honorific, 先生 sounds more natural. Overall, the world of sports is tricky for using 先生. It’s best to learn (or ask!) what a certain kind of coach or instructor should be called. Those living outside the country may not know this, but in Japan 先生 is used professionally as well. Certain experts, especially those who are well-known or require qualification, get to use the privileged title. Doctors (医者) and lawyers (弁護士) have high social authority in Japan. People understand how difficult and time-consuming it is to become certified for these professions, so they call them 先生 out of respect and appreciation for their service. Some professionals are called 先生, although not by everyone. For example, many professions that end with 〜shi (士) require a national test to become certified, and those who pursue them tend to be called 先生. Even though they’re technically not doctors, certified experts like clinical psychologists (臨床心理士) or physical therapists (理学療法士) who provide special services are often referred to as 先生. This includes professions like tax accountants (税理士) and architects (建築士). Not all of this is cut and dried. Certain folks still think it’s unnatural to call some of these people 先生. These gray areas are fodder for plenty of controversy and heated chatter on Japanese discussion forums. Not sure whether or not you should call someone 先生? Listen to how others refer to them. Professionals called 先生 usually use the title with each other. If you appreciate someone’s expertise, calling them 先生 is a way of showing your respect. If they’re modest, they might ask you to stop, and in that case, ask them what they would prefer. It’s the safest way to go. Although their profession requires neither license nor certification, politicians (政治家) are also commonly called 先生. Unlike other 先生 professions, they don’t offer a service—instead, they have political knowledge. Why are politicians called 先生? This article claims that it all dates back to Japan’s Meiji period, when parliamentary democracy began. Politicians gathered in Tokyo from different regions and brought along local young people to assist them. The politicians educated these young folks, effectively becoming their teachers. So the title stuck. Today, calling politicians 先生 is more of a custom, though its nuance is different compared to other 先生. Who knows? Maybe calling politicians 先生 comes naturally to people because politicians are supposed to make society better. When you think of it this way, they deserve a little appreciation! Popular artists, musicians, commercial painters, illustrators, and even potters are usually called 先生. Authors are too—especially by their editors, assistants, and competitors in the publishing industry—probably because these creatives are talented (at least enough to get their work published) and work hard. There’s no doubt they deserve respect. I’m not so stupid that being called sensei makes me feel good. This idiom suggests that people who are easily flattered are stupid. Still, being admired as 先生—even if it’s only pretend—feels good for most people! 先生 also applies to manga artists, poets, screenwriters—anyone who writes professionally for a living. Whatever genre they contribute to, their adoring fans tend to use 先生 when talking about them. How else would you address your favorite manga artist? In traditional religions such as Buddhism, Shinto, or Christianity, monks and priests aren’t usually called 先生. These days 先生 in a religious sense is reserved for new religions, where some refer to the founder or leader as 先生. To me, it feels a little cult-like. Now that you have a deeper understanding of who is (and isn’t) a 先生, next I’ll introduce you to how the word 先生 could be used. 英会話の講師でした。I WAS A KŌSHI AT AN EIKAIWASCHOOL. Even though 先生 is a polite way to refer to someone and show respect, it doesn’t necessarily mean 先生 is a formal word. For example, you won’t find the word 先生 in a news broadcast or on a teacher’s license. Instead, you will see synonyms like kyōshi that are more appropriate—just like the word “educator” sounds more official in English. 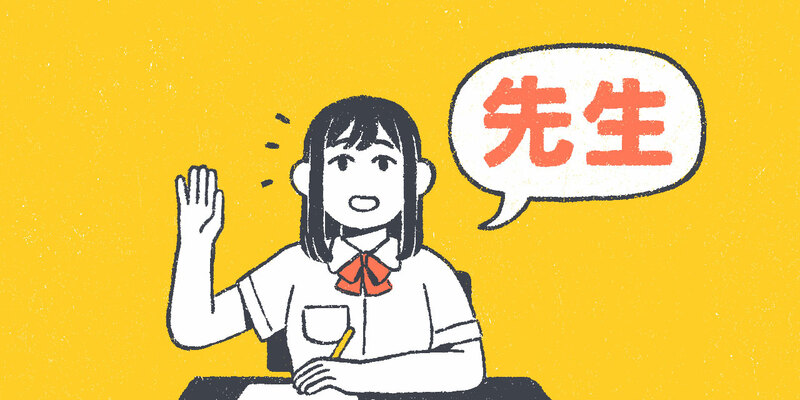 While it isn’t wrong to introduce yourself as 先生 when explaining your profession in casual situations (and it’s actually easier for children, who might not be familiar with words like kyōshi), in formal situations, it’s more suitable to use synonyms for 先生. I was a sensei at an eikaiwa school. …you might use kōshi (講師), which means “lecturer,” a more official term for the profession. I was a kōshi at an eikaiwa school. I used this expression in example sentences earlier, so you’ve seen it already. 〜の先生 is an important and useful form to remember. By replacing the “〜” with the subject or place where a 先生 teaches, or what a professional specializes in, and using the particle の, which is often compared to “of” in English, you can describe various types of 先生. One exception here: positions at schools shouldn’t include の. For example, the school principal is kōchō (校長), and they are often called kōchō sensei, not kōchō no sensei. 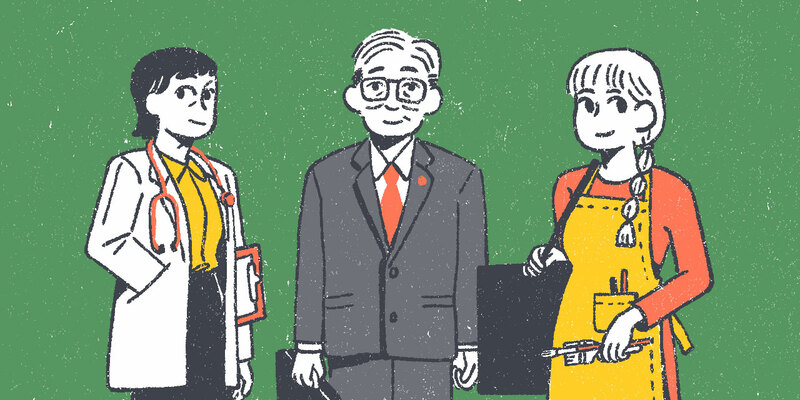 I wonder if it’s true that there are fifty Japanese teachers at Tofugu. My father was an elementary school teacher. My dentist did a regular check-up for me. My lawyer suggested that I not talk about that day. I am an instructor at a kimono-wearing workshop. It’s okay to use 先生 as the first-person pronoun “I,” but only if you’re a 先生. And while it’s common for people in teaching positions, especially those educating children, to refer to themselves that way, for a professional other than the ones we’ve described to call themselves 先生 would sound pretentious. In my experience, teachers who teach younger kids tend to use 先生 as a first-person pronoun more often, but I still heard it from time to time through high school. I don’t think I ever heard my college professors calling themselves 先生, probably because college students are closer to adults. If you’re a student, patient, or client of a 先生, or someone who works with a 先生, you can use the word as the second-person pronoun “you.” If you need to get this person’s attention, you can call out, 「先生!」 It’s also common for parents and family members interacting with their child’s teacher/professional. It shows appreciation to the person who’s caring for your child. Sensei looked kind of sad today. Sensei took five hours to give us a lesson in WaniKani-ism. 先生 can be an honorific suffix too, like calling your doctor “Dr. Suzuki” or your teacher “Mr. Richey.” Just add the teacher/doctor’s name before the name ender 先生. Suzuki-sensei seems to like bacon a lot. The yoga instructor tomorrow will be Koichi-sensei. The public speech of Koichi from the Tofugu Party was life-changing. In school, it’s common to use last name + 先生, but it’s also common to have multiple teachers with the same last name in one school. In that case, some teachers go by nicknames or first name + 先生 to avoid confusion. Similarly, you might call a teacher simply 先生 without attaching their name to the title at all. Sensei, can we make it by the deadline? IN JAPANESE SOCIETY, WHERE MODESTY HAS VALUE, FOLKS MIGHT USE 先生 TO SARCASTICALLY REFER TO SOMEONE WHO IS PRETENTIOUS OR ARROGANT. Though 先生 is a polite and respectful word, it can also be used with irony. In Japanese society, where modesty has value, folks might use 先生 to sarcastically refer to someone who is pretentious or arrogant. This kind of sarcasm works with those who are actually not 先生—usually a bossy person at work. It can sound really mean, so be careful! As it’s dai-sensei’s order, we absolutely have to follow it. Thank you for teaching me how to play with a wooden block, Emma-sensei. I’ve also seen people adding the 先生 name ender to the end of their pet’s name—especially pushy, yappy types of pets. These days, some young people are using 先生 to refer to inanimate objects or concepts to add humor to what they’re saying. This usage of 先生 is usually paired with something that’s given you a lot of help, such as a favorite brand of clothing, a certain kind of cup ramen, etc. As you have learned, 先生 is used for many different kinds of people—teachers, masters, private tutors, instructors, lecturers, lawyers, doctors, accountants, artists, authors… the list goes on and on. I hope you were able to get a deeper understanding of 先生 and how it works. Oh, stop it. Now that I’ve taught you the sarcastic usage of 先生, I honestly can’t tell if you’re teasing me or being sincere. But it doesn’t feel bad to be called 先生. I’ll take it!